On february 12 & 13, some of the most renown bands in California joined forces to support their friends in The Ghost Inside after their horrific bus accident. 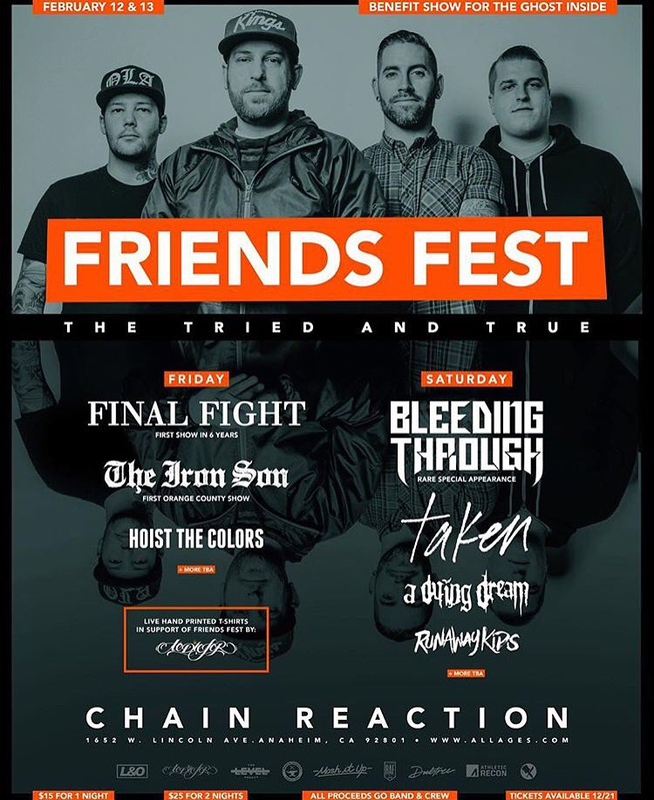 They put together Friends Fest, a fundraiser which, along with the online campaign, would help cover their friends' medical expenses. A few months afterwards, we finally have a short film (the aftermovie?) from the show, including some words from the participants and live footage.